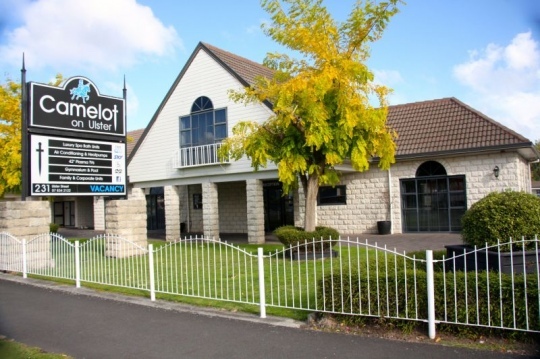 Having recently upgraded their rooms and facilities, Hamilton accommodation provider Camelot on Ulster provides modern, clean and spacious rooms that is affordable in close proximity to the Hamilton CBD which is ideal for Corporates and Businesses. Camelot on Ulster is a popular destination for corporate travelers. The large size of the rooms make for an outstanding place for post meeting catch ups and evaluations as well as pre-meeting planning. Team members are able to meet in a relaxed and spacious environment that is equipped with the appropriate facilities including in-room free unlimited Wi-Fi. “Corporate Agencies often use our rooms as a staffing and recruiting space where they host in room interviews with employees and potential employees,” says Alix Stevens who runs the operational management of Camelot on Ulster with her fiancé, Mark Boe. Camelot on Ulster takes great pride in keeping rooms clean and modernised for their guests’ living comfort and they go the extra mile in providing you with expert local knowledge on attractions and dining. “For your convenience we can save you time by delivering delicious cooked and continental breakfasts to your room,” says Alix. Camelot on Ulster has a popular outdoor swimming pool that is available for use by guests. “Our relaxed and quiet environment allows our business travelers to relax after meetings with our in-room spa baths or cool off in the outdoor swimming pool,” adds Alix. The complex also has a fully equipped gymnasium and personal training sessions are available for guests to look after their fitness during their stay. Camelot on Ulster is situated in Ulster St, north Hamilton. 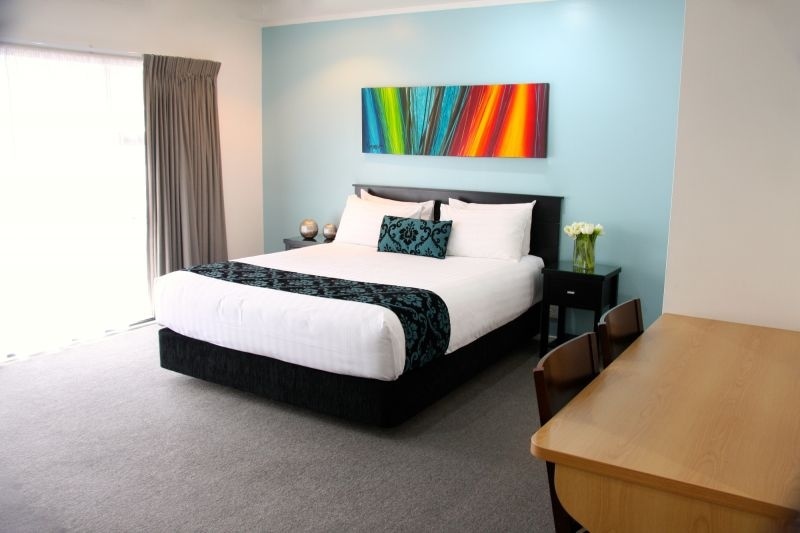 It is ideal for Corporates, families on transfer, regular travelers, sports teams, wedding groups and people visiting the nearby Te Rapa Racecourse for thoroughbred race-meetings, sporting events at the Waikato Stadium and other regular events such as markets.